JMS First Aid Training deliver first aid courses in Milton Keynes and the surrounding district. 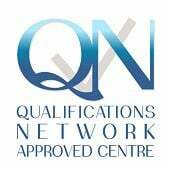 Working with both businesses and individuals, our courses are fully quality accredited by Qualifications Network UK (QNUK) who are regulated by the Office of Qualifications and Examinations Regulation (OFQUAL) and suitable for organisations of all sizes. Complying with full Health and Safety Executive (HSE) requirements, we can offer structured courses or we can provide bespoke tuition to suit both individual and larger business needs. Why choose JMS First Aid? Headed by Jan Southam, who has been delivering first aid courses since 2013, her whole career has been spent in the medical profession. Having worked on the frontline in the ambulance service, she is in the unique position of being able to able to apply her real-life experiences whilst delivering training, bringing it to life in a way that makes a powerful difference. Following careers in both the fire service and business management Martyn Southam now delivers health and safety training for JMS including fire safety, manual handling, moving people and other areas. Like Jan, he is able to draw on real-life experiences from his time as an operational firefighter. As well as delivering courses to national Blue-Chip organisations, Jan and her team pride themselves on offering a very personal touch, whether working with individuals, medical practices, schools, nurseries, farm estates or other businesses. Our approach is one of providing the best possible learning experience in a friendly and relaxed way. Via the application of interactive and engaging courses which have been carefully designed to suit all types of learning styles, our syllabus is comprehensive and enables us to maintain a consistently high standard. Our mission as a company is to provide quality first aid training via accredited courses throughout the Milton Keynes, South Northamptonshire, Buckinghamshire, Oxfordshire and Warwickshire areas. As an established team of professional instructors, not only are our training sessions engaging but we ensure that you are given the confidence and ability to administer the skills when needed. Not only will you benefit from a high quality training experience but, as a company, you will be complying with any legal requirements. Both adaptable and flexible, our training can be tailored to suit you or your business sector and it is no problem for us to fit in with your schedule, providing a convenient time and date. Opt for training to suit individuals or businesses. Our open courses are great when delivered on a one-to-one basis or to small groups whilst our in-house pre-set training courses enable up to 12 people to be trained during one session; the choice is yours. If you are not sure which of our training options is best suited to you, simply give us a call and let us talk you through the various alternatives. Whether you are a company looking for us to visit you within the workplace or you prefer to take part in one of our preset training courses, for both individuals and groups, get in touch with the team at JMS today. Alternatively, simply click on our ‘Latest Courses’ tab for dates and venues of forthcoming training courses.